This programme aims at exposing producer members to various facets of dairy operations to keep them informed and aware of the development and adopt to good management practices in production of milk. The exposure visits include visit to Dairy Plant, Cattle Feed Plant, and Presentation by the Co-operative Service Department. This programme aims at capacity building of Secretaries of Dairy Co-operative Societies in better management and maintenance of ISO standards. For the Management Committee Members it imparts training on management strategies, co-operative laws and their roles and responsibilities. 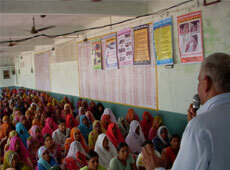 This one day program is very much helpful to understand the structure and working of cooperatives. It creates a strong bond between Village society staff, committee members and C.S. staff. 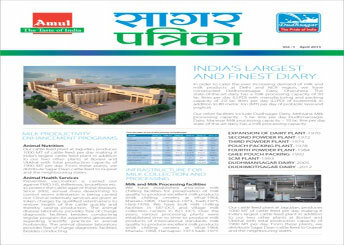 Sagar Patrika circulated every month carries latest and updated details of various activities, projects and programmes of the Union and significant information regarding modern trends of dairy industries and cooperative milk business. 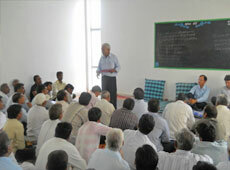 It aims at encouraging discussion among dairy farmers on scientific animal husbandry practices and its application. The discussions are facilitated by the Internal Consultants of District Union. This program is very much helpful to create awareness about threats to make business with private players. This programme forms a better platform to have interaction with milk producers. It Aims to provide Modern know how for dairy farming for increasing milk production and hygienic handling of Milk by using modern, scientific and upgraded technology including Automation thereby reducing dependency on labor.